Production growth to level which required implementation of new effective processes for inbound section, as well as for whole supply chain management. 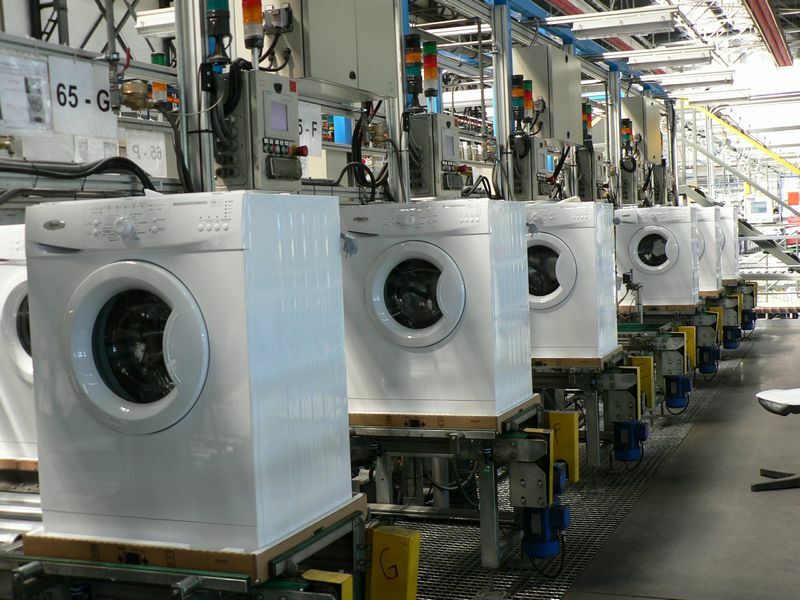 When new processes were in place, attention of Whirlpool shifted to finding information system to keep processes running, since additional effectivity improvements without such system wasn´t feasible. Data handling without Excel files. Validation and controlling of data entered to the system. Effective information sharing among operators. Easy and quick reporting of information needed for decision making. Complex real time view of inbound process. Satisfaction of Whirlpool Slovakia with quality of our services and products resulted in 2010 into assignment of implementation of system for transport planning and inbound process visualization and management. Cover all processes as exists in Whirlpool Slovakia. Visual management of inbound operators and visualization of processes in inbound area. Replacement of existing excel files for inbound with automatic recalculations of data if something has changed. Visually attractive and modern design. User friendly and efficient interface. First version of the system has been put in use three months after order. Easy and quick reporting of information needed for decision making, as well as using this data for planning and modeling future. Visual management of inbound operators and visualization of processes in inbound hall, that allows every operator to see the state of the process without asking anybody. Main screen consists of real-time IP camera output augmented by process focused information. This concept simplifies usage of system and allows quick and effective process management. Saving of one work shift on inbound. Increase in efficiency of inbound processes, its stabilization and standardization. Easy to use monitoring of transport effectivity (CPU calculation, delays) and quality. Reduction of transport costs (CPU), unplanned production stops due to logistic issues and reduction of stock value. Improvement of relations with transport companies. Removal of hidden costs in processes (communication, planning). Optimization of transport planning, loading, un-loading, route and capacity. In addition to updates of PIEx we have implemented for Whirlpool Slovakia our product OEE (Overall equipment effectiveness), which serves to measure efficiency of usage of equipment. Our cooperation is already planned for future. Besides additional enhancements of PIEx (Waste & Scram management) we should implement our technology M2L (Manipulate to light) in order to navigate operators and control manipulation in warehouses.